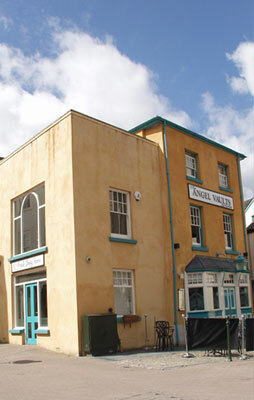 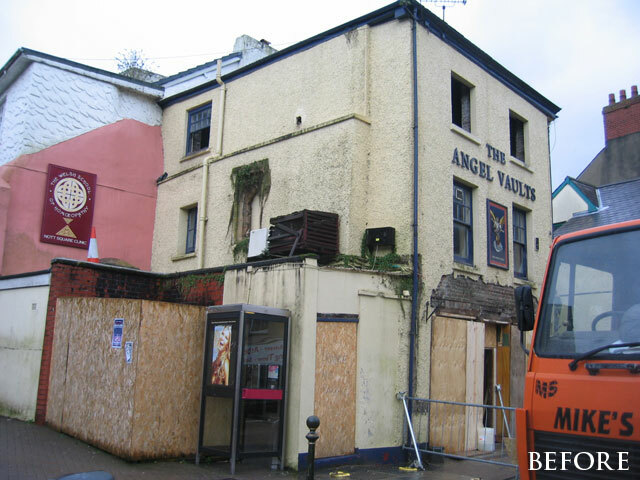 The Angel Vaults Restaurant was previously a provincial public house, one of many in the surrounding area which have suffered due to a change in trends. 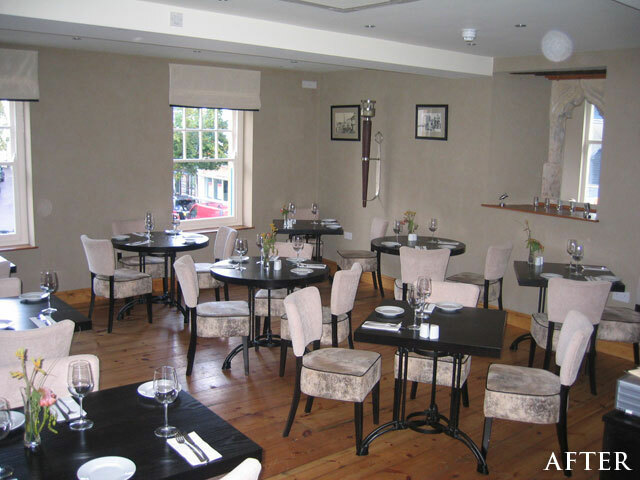 It was therefore ideal for redevelopment as a town restaurant but the internal layout required much alteration to make it suitable. 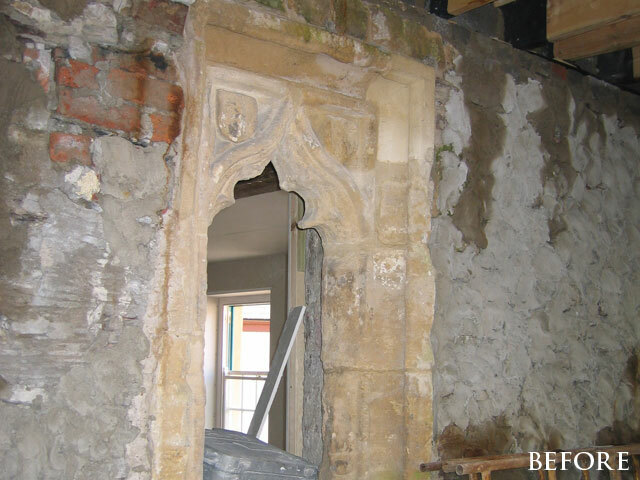 This listed building has a characterful frontage onto the main pedestrian thoroughfare with a medieval window that remains in situ in the middle of the restaurant, so it was essential to keep this building's period features whilst bringing it up-to-date to be frequented by a contemporary clientele. 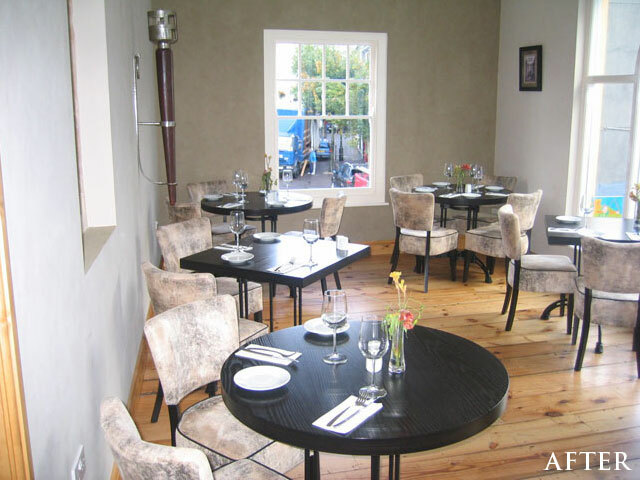 Award winning interior designer Linda Hunt of Meigan Designs created the finished look. 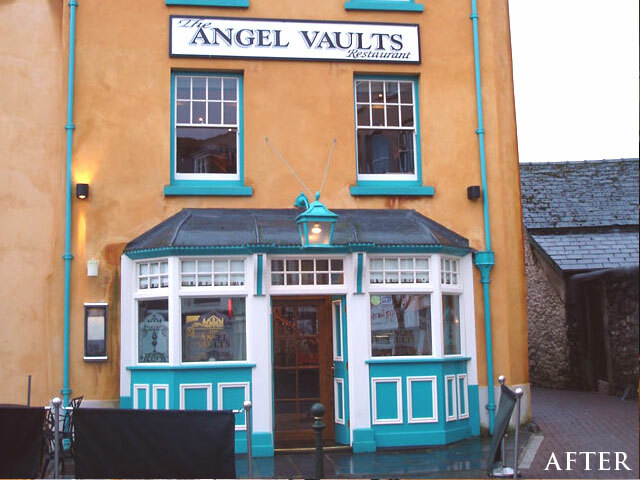 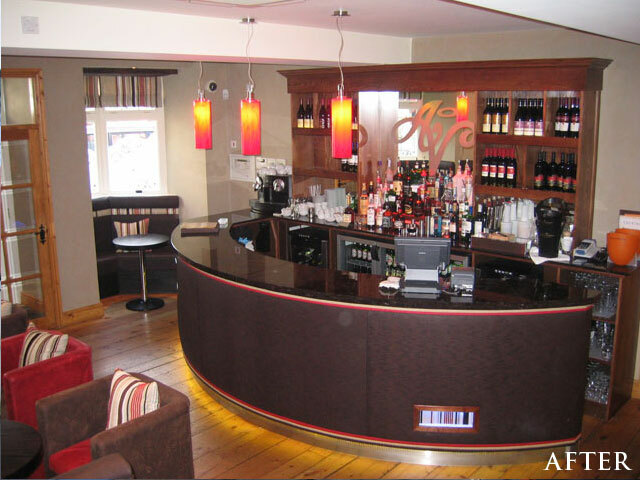 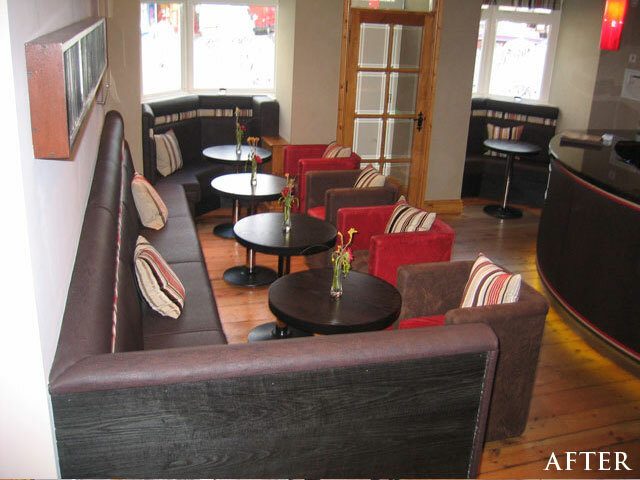 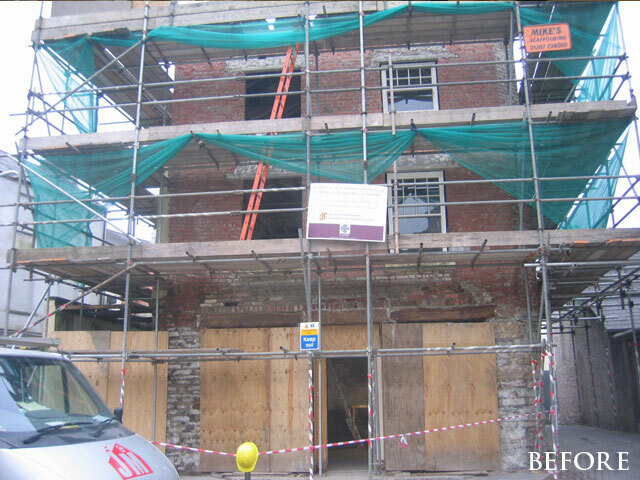 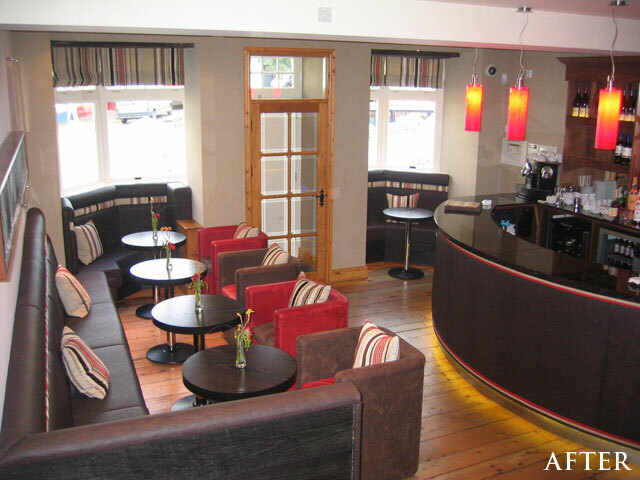 Situated in the medieval market town of Carmarthen adjacent to the castle gateway and overlooking Nott Square.